When production ends on a film or TV show, for another sector the work is just beginning. 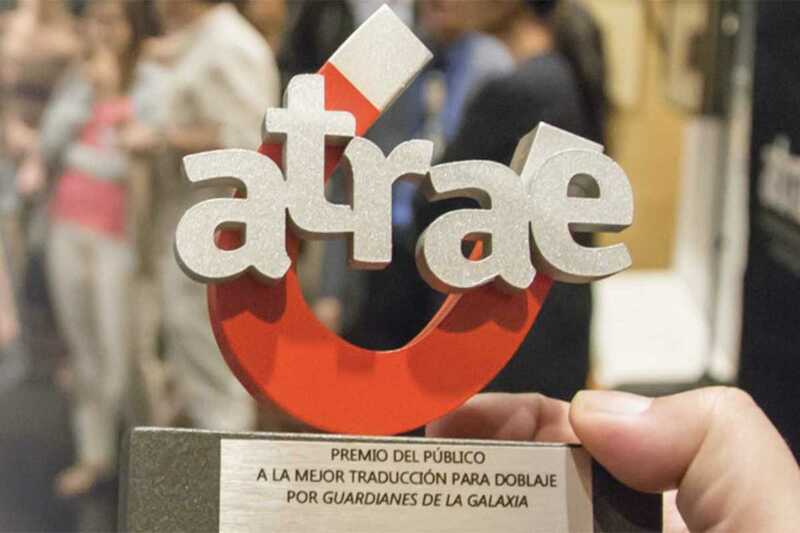 This month, the Spanish Association of Audiovisual Translation & Adaptation (ATRAE) honors those who transpose series, movies and video games into Spanish or adapt them for accessibility, often under near-impossible deadlines, at the 4th annual ATRAE Awards. Held on Friday, October 28th as part of CITA4, the International Conference of Audiovisual Translation, the ATRAE Awards this year features much-loved productions such as Game of Thrones. Any fan of the show can imagine the difficulty of translating it into another language – after last season’s “hold the door” moment, Spanish translator Paco Vara was hounded by ideas from friends, colleagues and even people in the street. Other award-winners include Straight Outta Compton, Rise of the Tomb Raider, and an array of Spanish productions. Prizes are also awarded for Best Audio Description and Best Subtitling for Deaf Viewers – aspects of entertainment that are often unfairly overlooked by those who don’t use them, but of huge importance for others.